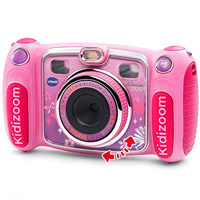 75 Gift Ideas for Babies, Toddlers, and Big Kids! 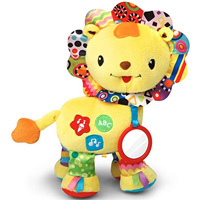 For this year's holiday gift guide, we recommend over 70 different toys and games across 6 age groups. 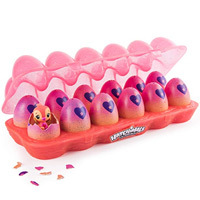 All of these games and toys are mom-approved and kid-awesome! Click on an age group to check out what we tested and approved for our 2019 gift guide! 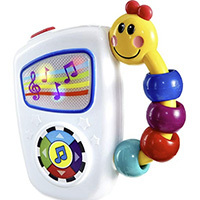 Here are the best gifts we've found for babies aged 0-6 months! 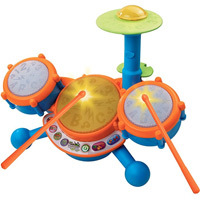 Here are the best gifts we've found for babies aged 7-12 months! 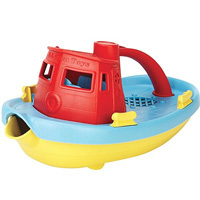 Here are the best gifts we've found for toddlers aged 1-2 years! 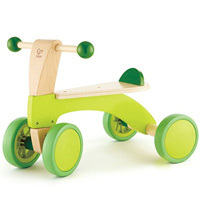 Here are the best gifts we've found for kids aged 3-4 years! 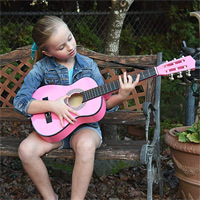 Here are the best gifts we've found for kids aged 5-7 years! 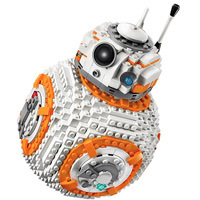 Here are the best gifts we've found for big kids aged 8-10 years! 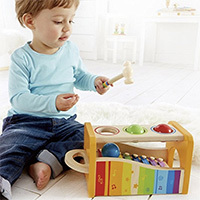 'Tis the season to shop for Christmas toys, games, art supplies, instruments, and more! 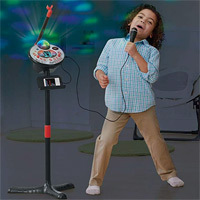 These excellent holiday gift ideas were hand-selected by the editorial staff at Mommyhood101.com. 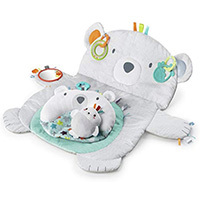 As you know, each year we conduct hands-on testing of the newest and most popular baby gear on the market. Most often, we test car seats, bottles, strollers, and other relatively utilitarian baby gear that is designed mostly to make parents happy. 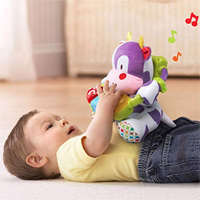 But every once in a while, we get our hands on some awesome toys that make babies, toddlers, and big kids happy little clams! 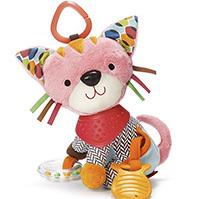 This year, we tested over 300 different toys to make our holiday gift guide, including ride-on toys, LEGO kits, dolls, musical instruments for kids, walkers, and outdoor toys. About 100 of them weren't worth your time, and another 100 failed the test of time. 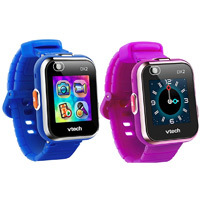 What remained were some truly great Christmas gift ideas for babies, gift ideas for toddlers, and gift ideas for kids. Nearly 100 of them! That's our biggest gift guide yet (2017 was only about 45 recommended holiday gifts). 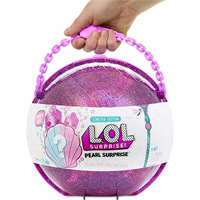 Many of recommended gifts are educational toys, some are solely for fun (like the LOL Surprise balls! 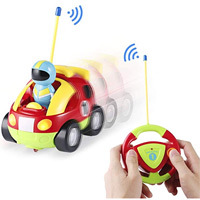 ), and the really good ones combine learning into something that's so much fun your kid won't even realize they are playing with a learning toy! 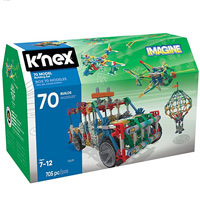 Good examples are the LEGO sets, Snap Circuits sets, 3D puzzles, and alphabet blocks. 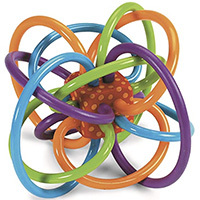 These toys can teach visuospatial reasoning, logic, articulation, and spelling, all while your child has a huge smile on their face! 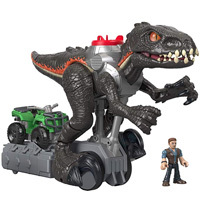 Popular themes this year were Star Wars toys, Paw Patrol toys, Disney toys, Harry Potter toys, Jurrasic World toys, and Batman toys. 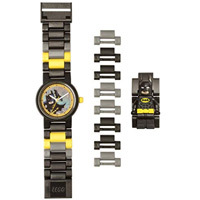 Great examples are the Star Wars LEGO sets, Paw Patrol fire truck, Disney LEGO toys and bikes, Harry Potter Hogwarts Castle LEGO set, the scary Jurrasic World dinosaur, and the awesome and functional Batman watch. 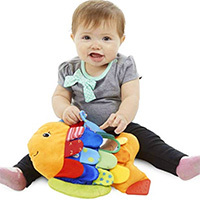 0-6 months, Sophie Le Giraffe Teether: This classic teether has been updated to include some awesome handles, making it one of the best baby toys on the market. 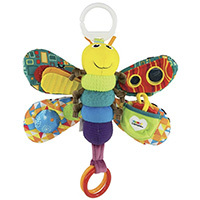 Keep your infant busy chewing on this adorable, non-toxic, classic toy, while soothing their teething pain. 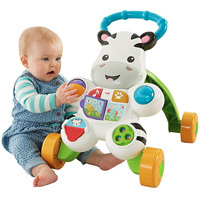 A great gift for new parents, Sophie Le Giraffe is always a top gift idea! 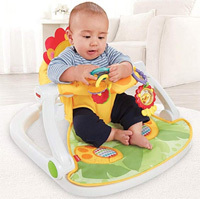 0-6 months, Fisher-Price Sit-me-up: Once your baby has some good head and neck control (usually around 3-4 months), they will totally love this sitting activity center. 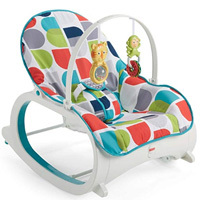 Not as large as a usual exersaucer activity center, and not as boring as a bouncer seat, this Sit-me-up activity chair is the perfect size and level of stimulation for infants beginning to explore their world! 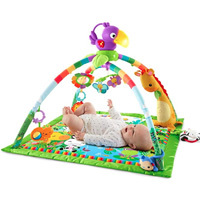 0-6 months, Kick-n-play Gym: We all know how important tummy time is for building core muscles, neck and arm strength, and laying the learning foundation for eventual crawling. But most babies hate tummy time! 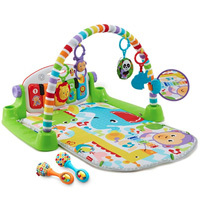 This Kick-and-play piano gym puts fun back into tummy time, giving your baby the toys and entertaining tools to help tummy time last longer; combine it with a foam play mat for the floor and you've got a great combination! 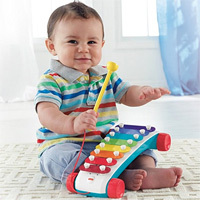 0-6 months, Fisher Price Infant to Toddler Rocker: This is as much a gift for mom and dad as it is for baby. Parents need to be able to put a baby down for a little while so they can shower and get dressed in the morning, cook meals, and take care of other household duties. 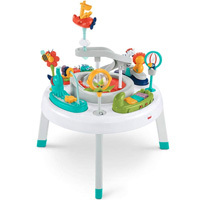 This is one of our top-rated baby bouncers and is perfectly suited for entertaining baby! 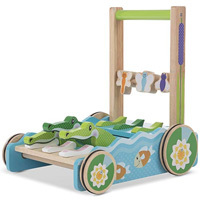 7-12 months, Melissa & Doug Chomp-Clack Alligator Walker: What do you get when you combine an adorable high-quality wooden toy with a functional baby walker? One of the best gift ideas of the year! 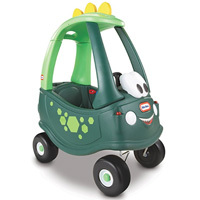 This amazing baby walker has little alligators that open and close their mouths (chomp! clack!) while your baby pushes it around. 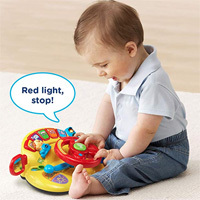 A great toy for taking first steps; and before then, it's a great toy for sit-and-play! 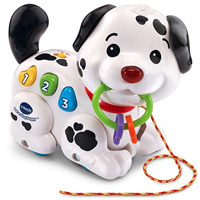 7-12 months, Stride to Ride Puppy: This age range is ripe for toys that support babies who haven't learned how to walk yet, but then can convert to a toy that's suitable for walking toddlers. 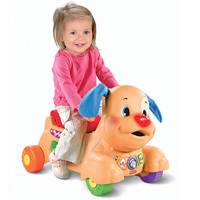 This is a great example of that, combining an adorable puppy-themed baby walker with the ability to lower the walker handle and turn it into a ride-on toy! 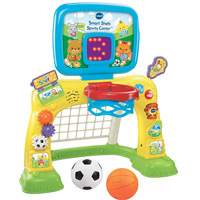 Fisher-Price hit the ball out of the park with this one! 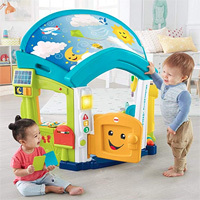 7-12 months, Laugh & Learn Home: The Fisher-Price Laugh and Learn home is an awesome activity center for crawlers, babies who are learning to pull-to-stand, and walkers. 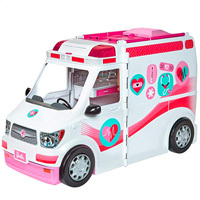 It is not only adorable but super functional, with tons of fun buttons to press, cause-effect toys to try out, and a door to swing open and closed. 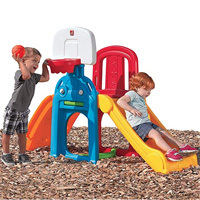 Bring some friends over and play house with this awesome Christmas gift! 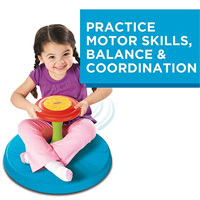 7-12 months, Turn & Learn Driver: This is an awesome classic toy that you might remember from your childhood - Fisher Price has been making these toy steering wheel and dashboards for several decades, and kids from about 10-18 months absolutely love them. Turn the key and experience the sights and sounds of their first driving experience - just like mom and dad! 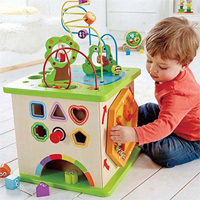 1-2 years, Hape Wooden Activity Cube: Hape makes some super high quality wooden toys, much like Melissa & Doug. 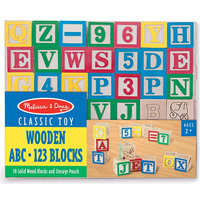 This wooden play cube is sturdy, reliable, and super fun! 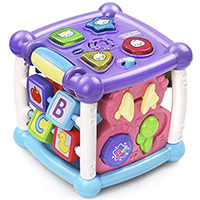 It has shape-matching, block sliding, spinning, and more, all packed into a cube that your toddler will play with for hours! 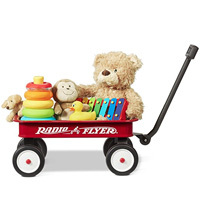 1-2 years, Radio Flyer Mini Red Wagon: Remember the red wagon you had when you were a kid? A little too big for indoors, right? Well, this is the mini version of the Radio Flyer wagon, and is the perfect size for an energetic toddler who wants to pull around all their most important gear, like toys, teddy bears, and musical instruments! 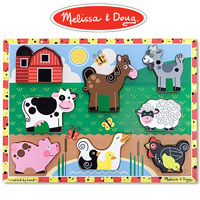 1-2 years, Melissa & Doug Wooden Alphabet Blocks: These are the original wooden alphabet blocks that are not only super fun to play with but also highly educational. 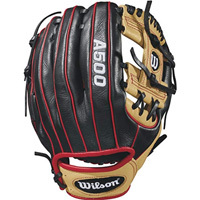 They use primary colors to show bold numbers and letters painted on the sides. 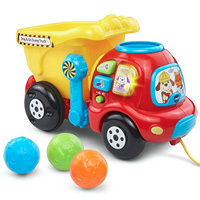 Easy to stack and clean up, and a great educational toy for a holiday gift. 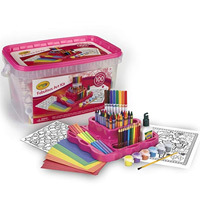 3-4 years, Crayola Art Case: This is one of our favorite arts and crafts presents. It includes all high quality Crayola products, like washable markers, colored pencils, crayons, and paper. 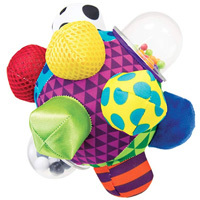 And it's all packed into an awesome art storage case with a handle, making clean-up and put-away easy for parents. 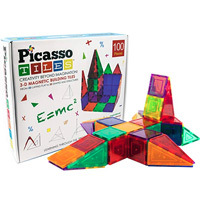 3-4 years, PicassoTiles Magnet Building Tiles: These are super popular right now and are totally addictive for both parents and kids! 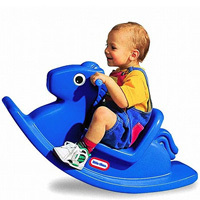 There are basically two big companies making these, one is MagnaTiles and the other is PicassoTiles. Both are excellent quality and highly recommended. They are like 3-dimensional building blocks that stick together using magnets arranged around the perimeter of each piece. 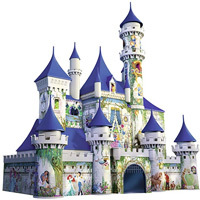 Build castles, space ships, houses, and more! 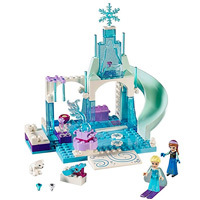 These are an awesome educational gift for kids who love to build. 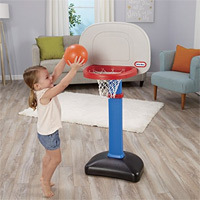 3-4 years, Little Tikes Trampoline: You really can't go wrong with a relatively small (36" diameter) kids trampoline that is safe, fun, portable, and easy to store in a closet. 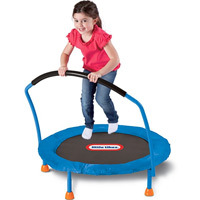 One of our best all-time kids trampolines, and usually under about $50, this is a great gift idea for energetic kids who need to get their wiggles out year-round! 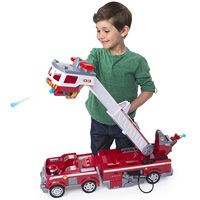 5-7 years, LEGO City models: LEGO City makes dozens of super popular LEGO kits for kids, ranging in difficulty, number of pieces, and price. 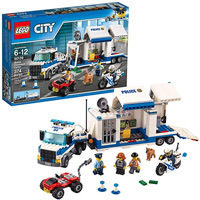 The LEGO City Police Department kit is right in the middle, with about 400 pieces, suitable for kids 6+ years old, and a reasonable price tag around $40. 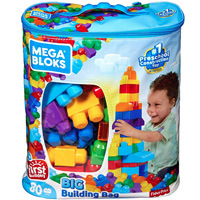 Well-made, high quality, and literally hours of fun for kids who love to build masterpieces! 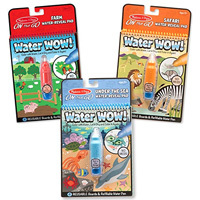 5-7 years, Water WOW! 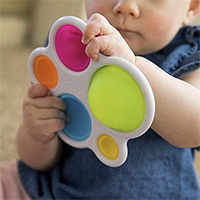 Activity Pads: These are simple and cheap gifts that kids really love. 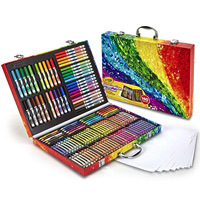 They fill up the drawing tool with a little bit of water and then use it to draw on the specially designed pages of the book; as the pages get wet, colors magically appear and an artistic masterpiece emerges! 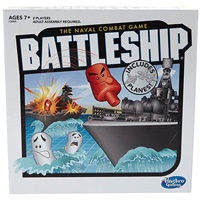 5-7 years, The Battleship Game: This is the classic board game, with the addition of airplanes to make it even more fun! 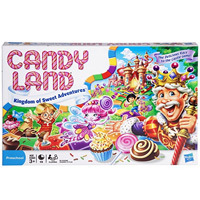 This game is not only super fun but also teaches cooperation, competition, visuospatial reasoning, working memory, and more! 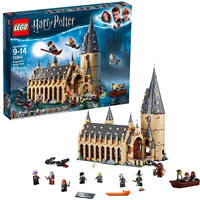 8-10 years, Harry Potter LEGO Hogwarts Castle: There are a few versions of this LEGO kit. 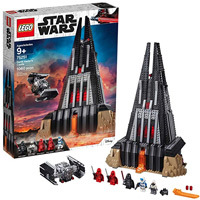 One is absolutely enormous and uses thousands of pieces, while this LEGO kit as just under 900 pieces. 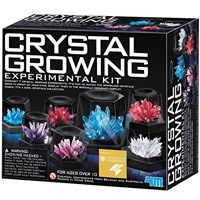 Perfect for a child about 9-10 years old, this kit will take hours (if not days) to finish, and your child will feel super proud of themselves when they step back and see the beautiful Hogwarts Castle they've constructed. Let imaginations run wild with this awesome Harry Potter gift! 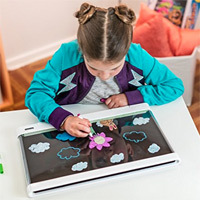 8-10 years, Crayola Ultimate Light Board: This is a really clever LED light board that uses gel markers on a lighted panel to make beautiful, colorful, and bright drawings. 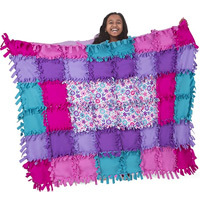 It's the perfect gift for the boy or girl who loves arts and crafts, and easily wipes clean for repeated use over several years. 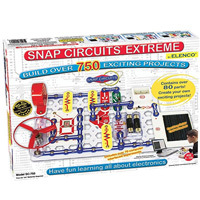 8-10 years, Snap Circuits Extreme: The Snap Circuits sets are perfect gifts for boys or girls who are interested in science, technology, engineering, or mathematics (STEM). 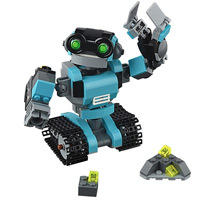 This huge kit comes with a book with hundreds of different projects, and is a great kids gift for teaching logical thinking and basic electronics in the context of making fun projects (like an alarm, motion detector, disco lights, AM radio, and more! ).